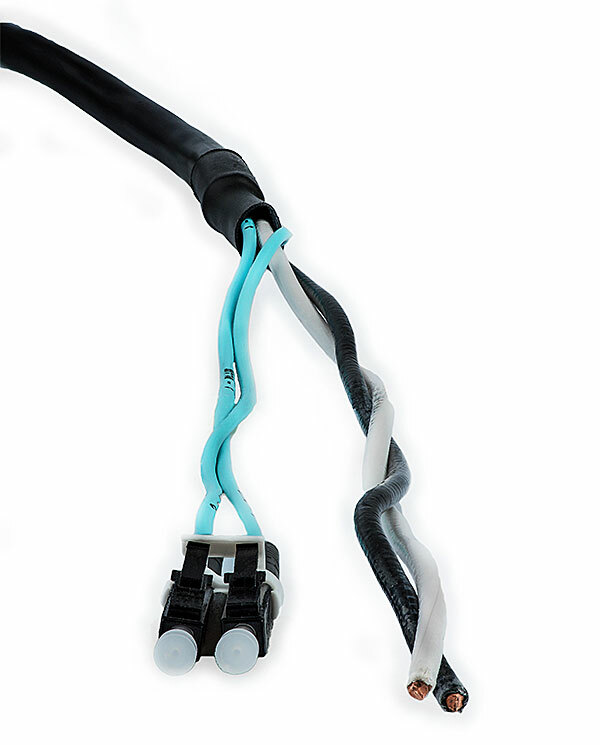 Our hybrid cable assemblies support data and power transmission – all under one easy to install jacket. Hybrid cable assemblies with both fiber and copper conductors are a key component in our Media Conversion & PoE Extension solution. They are designed to extend PoE/PoE+ beyond 90 meters which is the maximum length for transmitting PoE over a standard copper category cable. In some cases that distance can be extended up to 7500 meters. These assemblies can also be used for any other application where both copper and fiber are required and would make more sense to pull them together under a single cable jacket. Cables can be configured with various fiber types such as single mode and multimode along with fiber counts ranging from 2 through 12. Copper conductors can be arranged in various combinations ranging from 18AWG up to 12AWG. 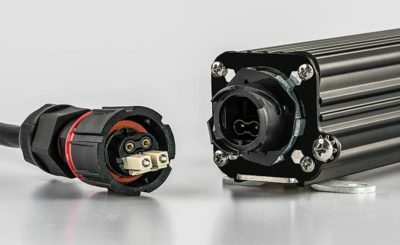 Cable assemblies can be pre-terminated with almost any standard fiber optic connector such as LC, SC, MTP, etc. Copper connectors are typically M8 or left unterminated. We also offer a new all in one connector called the IP-ONE. This connector is IP-67 rated and can include either 2 fibers + 2 conductors or 12 fibers + 2 conductors. Some of our new PoE extension products such as the Outdoor GatorLink use this new connector system.